Mukesh Ambani group left the telecom sector awhile ago, as per agreements with Anil Ambani group. Now, he is back and according to sources, the company is already in talks with chinese companies which make 4G devices at cheaper price such as Xiaomi, Huawei and Gionee. The step would make Reliance Jio one of the top telecom players in the country and may start another head on competition between the brothers for being the number 1 4G service provider in the nation. For 4G LTE services, Reliance Jio has bought rights in 22 telecom circles, by far the largest such rights for any telecom firm. 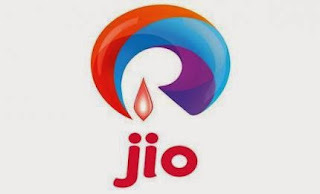 Reliance Jio has spent close to Rs 80,000 crore to develop infrastructure and connectivity for 4G services, and with the plans of $30 4G handsets, it seems that the circle is now complete. Back in 2003, Reliance (undivided back then) revolutionised the mobile phones segment by providing mobile phones at monthly plans starting Rs 500 only. The scheme saw a million new users within 10 weeks of the launch.